This is a lovely quilt. I look forward to all the additions and the final reveal. Looking good. I am enjoying seeing your stitches on this beautiful quilt top. 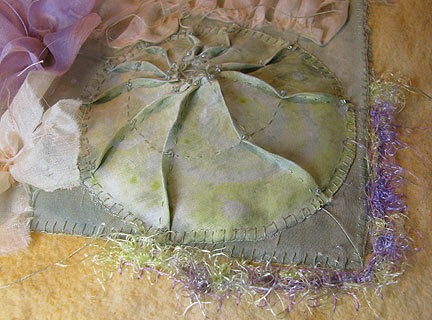 The buttonhole/blanket stitch is such a beautiful addition to your work. I'll be looking forward to seeing the final piece. Buttonhole stitch adds beauty to your project. Beautiful, interesting work and I look forward to the final reveal also. Your buttonhole stitch is great! The piece is going to be fantastic! 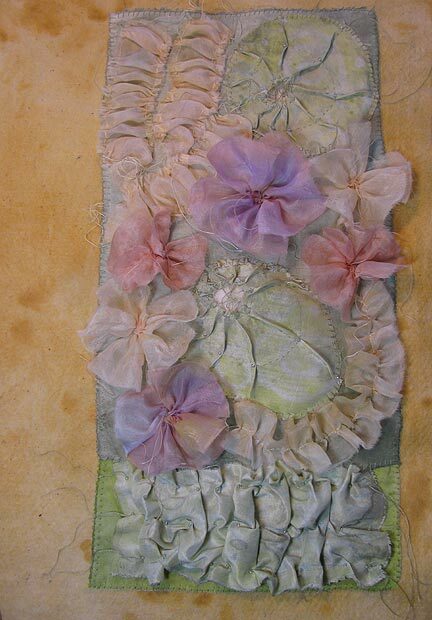 I like this piece very much, including the buttonhole stitching,.